Show your dedication to one of the UK's most innovative rock bands with our mighty Black Sabbath T-Shirts! 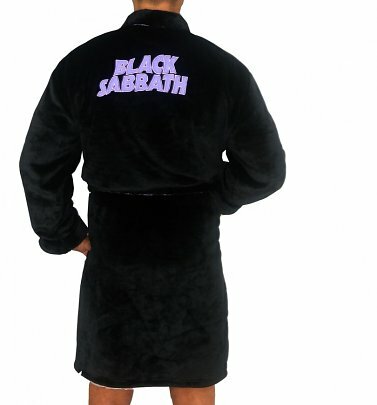 Heralded as fathers of the heavy metal genre, Brummy rockers Black Sabbath blasted on to the music scene in 1968, with some of their most iconic albums released in their early Ozzy Osbourne era, like Black Sabbath, Paranoid and Master of Reality. Their lyrics explored dark, occult themes as well as political corruption, addiction and war. Despite changing line-ups, Black Sabbath redefined what was possible in rock and their influence is felt today in bands like Iron Maiden and Slayer. Our Black Sabbath T-Shirts from Amplified are the perfect way to pay tribute to the metal pioneers with loads of immense, vintage-inspired men's and women's designs - from a classic logo tee to a '78 Tour design, as worn by Robert Downey Jr. in the recent Avengers movie, honouring the classic song that bears his superhero character's name, Iron Man!